Advertisement. Life vol. 38, no. 2 (January 10, 1955), p. 49. Current and historical archive from the Associated Press. Includes over 1 million primary source photos, 24,000 maps, logos, and graphics, and more than 4,500 hours of audio files dating from the 1920's. Search for keyword "advertisment" to find images and articles about advertising. This index database of national network television news programs includes streaming video of CNN news broadcasts as well as commercials from the mid-1990s to the present. Images and database information for over 7,000 advertisements printed in U.S. and Canadian newspapers and magazines between 1911 and 1955. Ad Access concentrates on five main subject areas: radio, television, transportation, beauty and hygiene, and World War II. Established in 1990 by Larry and Suzanne Viner, this website claims to be the largest and most comprehensive resource of its kind in Europe, with a collection that spans the years from the mid 19th Century to the present day and includes British and American press adverts and magazine covers/artwork, rare French and Spanish magazine art, British TV advertising stills, mail order catalogs, posters/postcards/menus and other ephemera, and a selection of vintage magazines. Emergence of Advertising in America. Presents over 9,000 images relating to the early history of advertising in the United States, 1850 - 1920. The materials, drawn from the Rare Book, Manuscript, and Special Collections Library at Duke University, include cookbooks, photographs of billboards, print advertisements, trade cards, calendars, almanacs, and leaflets for a multitude of products. Together, they illuminate the early evolution of this ubiquitous feature of modern American business and culture. Life Magazine partnered with Google Books to digitize the magazine's entire run as a weekly: over 1,860 issues, covering the years from 1936 to 1972. Users can browse, search and view a retrospective of Life magazine photos and ads. Access is free and images can be shared, printed and posted for personal use. Images and database information for approximately 600 health-related advertisements printed in newspapers and magazines. 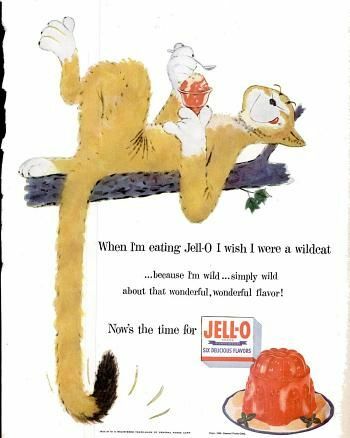 These ads illustrate the variety and evolution of marketing images from the 1910s through the 1950s. The collection represents a wide range of products such as cough and cold remedies, laxatives and indigestion aids, and vitamins and tonics, among others. In addition to the advertisements themselves, the MMA website includes historical material -- non-graphical text-only documents -- that put health-related advertising into a broader perspective.